Pacific Northwest National Laboratory biologist Dr. Karin Rodland has been named Laboratory Fellow, the highest rank that PNNL science and engineering staff can attain. Rodland is a highly respected cancer cell biologist with an international reputation in the use of proteomics to identify biomarkers for cancer and other diseases. Rodland's research has focused on understanding the fundamental differences between cancer cells and their normal counterparts to identify early markers of the disease process and targets for disease intervention. Before coming to PNNL in 2001 from the Oregon Health Sciences University, her research focused on signaling pathways involved in ovarian cancer, and she made several seminal discoveries regarding the role of the calcium-sending receptor. Since joining PNNL, Rodland has applied a systems biology approach to her research, characterizing the complex interactions between various signaling pathways in breast cancer. She has also promoted the use of PNNL's proteomics capabilities for the discovery of biomarkers for cancer and chronic obstructive pulmonary disease, and she has funding from the National Cancer Institute to develop a "cancer chip" for early diagnosis. She has an outstanding reputation for her focus on team science and mentoring. As science lead for National Institutes of Health programs at PNNL, she has mentored numerous staff at PNNL who are new to the NIH proposal process, with successful outcomes for six investigators who had never had NIH funding before. NIH-funded research at PNNL increased from $1.4M in FY 1999 to $19.5M in FY 2007, in large part because of Rodland's role as science lead. She also serves on numerous NIH peer-review committees, and is on the Integration Panel for the Congressionally Directed Medical Research Programs in ovarian and breast cancer. 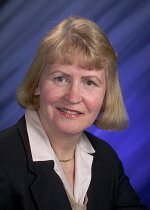 Her reputation in applying proteomics to biomarker discovery is evidenced by highly cited review articles in the field and by her prominent role in organizing proteomics sessions at prestigious meetings, such as the U.S. Human Proteome Organisation, the American Association for the Advancement of Science, the International Association for Cancer Research and Gordon Conferences. Rodland's involvement in PNNL's systems biology program has led to invited presentations nationally and internationally. Rodland's publication record includes 56 peer-reviewed publications, five invited review articles, and an invited book chapter, with five peer-reviewed publications from 2006 to the present. She holds two patents in DNA technology. Rodland is also a commercially rated pilot with more than 1700 hours of flight time, most of them in her Cessna Skylane.